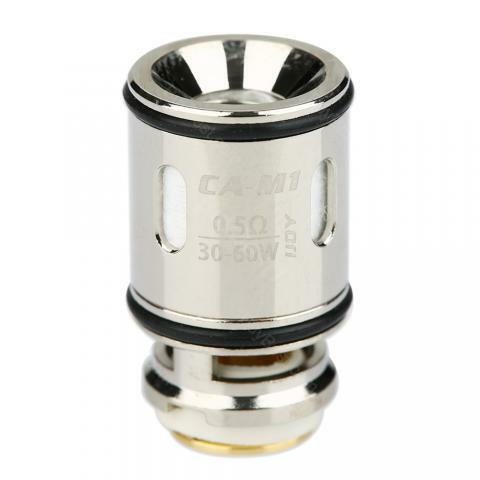 Here comes the IJOY Captain Coil for Captain Mini Tank. It is thread-less coil head and easy to replace. 0.5ohm CA-M1 and 0.3ohm CA-M2 for your selection. 3pcs each pack. The CAPO 100 MOD is powered by a 3750mAh 21700 cell with 40A continuous discharge current, which drives the CAPO up to 100W and dramatically shrinks its size. It features top battery slot for easy replacement and massive fire key for better click. Perfectly match with Captain Mini Tank. • It is for Captain Mini Subohm Tank. Easy to replace, just push it in and you are good to go. No break in, and not even one dry hit on them. Price is a huge plus.